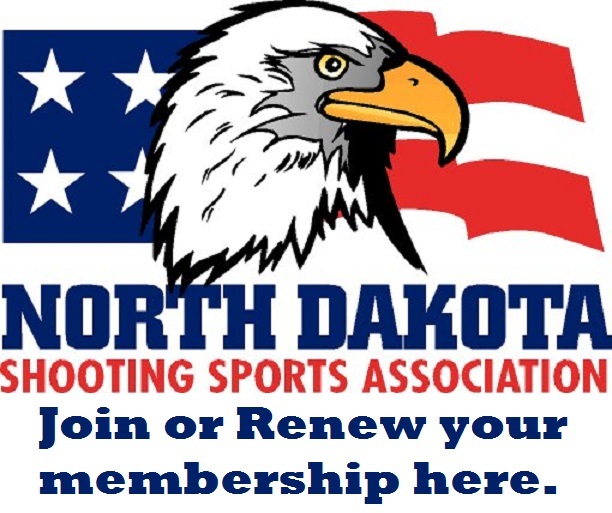 LOCATION: The Lake Region Shooting Sports Association's indoor range facilities are located in the Devils Lake Armory at 5th Ave & 5th St, Devils Lake, ND. ELIGIBILITY: This competition is open to all competitors born in 1998 or later. All competitors must be individual members of USA Shooting. RESIDENCE: Each competitor may claim residence in only one state and must declare the state of residence on the entry form. Residents are eligible for the 1st, 2nd and 3rd place USA Shooting State Champion medallions. Residency is defined as to where the competitor holds a current and valid driver’s license. If the competitor does not have a driver’s license, residency is then defined as to where the competitor’s parents/guardians reside. Non-residents may compete for invitations to the National Championship and are encouraged to do so. Non-residents are not eligible for state awards. ENTRY: Only scores from a registered State Junior Olympic match will count for invitation to the National Junior Olympic Championships. Shooters may not compete in more than one state JOSC. Juniors who fire in their own home state JOSC will not be allowed to shoot in another state. Juniors from states which are not holding a state JOSC, and those who cannot attend their own state JOSC, will be allowed to enter as a non-resident in another state. Non-residents should declare their home state at entry and are not eligible for state resident awards. Sub-Junior (J3): age 14 & under; competitors born 2004 or later. COURSE OF FIRE: Women must shoot a 40 shot match. Men must shoot a 60 shot match. SIGHTS: Metallic sights will be used. TIME LIMIT: See 2016 USA Shooting rules. TARGET: 50 ft. Sport Pistol target will be used. SCORING PROTESTS: A scoring protest fee of $1.00 per shot will be charged. TIES: All ties will be broken in accordance with USA Shooting Rules. PARTICIPATION PINS: A Junior Olympic participation pin provided by USA Shooting will be given to each competitor. AWARDS: Provided by USA Shooting - USA Shooting will provide a gold medallion for the top resident individual, silver medallion for 2nd place resident individual and a bronze medallion for the 3rd place resident individual. ENTRY FORMS: Special entry forms will be used for all State JOSCs. They are to be filled in completely and signed and dated by the competitor to be considered for invitation to the National JOSC. LEGIBLE handwriting is required. If we cannot read your handwriting you may not get your invitation. ENTRY FEES: A USA Shooting registration fee of $12.00 per individual, per event will be charged. Total individual entry fee is $22.00 per entry/event. ENTRIES CLOSE: Advance entries will close January 10, 2018. Entries will be accepted to range capacity. Every effort will be made to accept all competitors who enter before the closing date. POST ENTRIES: Entries made after the closing date will be accepted up to range capacity. A post entry fee may be charged. CANCELLATIONS: Cancellations received one week in advance, or earlier, will receive a full refund.